School bells or wedding bells? Raised in an East African country, I was taught at a very early age that education was the key to all things: to future success in life, to contribute meaningfully to society, and to help those around me. Many years later, girls in African countries including in the three countries where CFTC works (Uganda, Ethiopia and Ghana) are still hearing the same message. And in support of this call, governments in these countries have introduced universal primary school education making primary school education free for all children – both girls and boys. However, constantly hearing the positive messages about education and having access to free primary school education has not always enabled girls to remain in school. Early marriage among girls under the age of 18 is still prevalent in many communities. Girls are often forced to become child brides due to social and cultural pressures, often because poverty continues to mean girls are seen as a drain on family resources. Early pregnancy, and the hard choices that many parents need to make when covering the basics (health care, school supplies, clothing and food) leave them unable to send all their children to school, leave many girls extremely vulnerable to dropping out of school and being forced into early marriage. In November 2014, I attended a round table in Ottawa organized jointly by Canada’s Department of Foreign Affairs, Trade and Development (DFATD) and Plan Canada, which brought together government officials, international development and other NGO practitioners, and young adults who had been child brides. According to presenters, child marriage refers to marriage among any child prior to the age of 18. In developing countries, one in three girls is married by the time she turns 18. Clearly, the scope of the problem is vast. Child brides, because they have to drop out of school, are often uneducated and their daughters are in turn likely to drop out of school, marry young, and fall into the cycle of poverty. 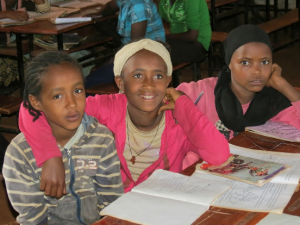 School girls in Ethiopia. Religious and cultural practices often place girls at risk of early marriage. I listened to a former child bride from Zambia who talked about how she was betrothed and put in seclusion before her marriage. In her mind, this state of affairs was inevitable. But students from the primary school she attended visited her during her confinement and she was able to give them a letter addressed to her teacher appealing for his help. The teacher then mobilized a local NGO and they were able to engage her parents to cancel the planned marriage. Her story made me think of so many of the girls I’ve met during my visits to Ghana, Uganda and Ethiopia. I realized that any girl in the communities that we partner with and attending the schools that we support could easily be promised in marriage by her parents or guardians before she is 18. In fact, this does occur in our project communities, and comes to our attention through the monitoring we conduct with our local partners as part of our routine child sponsorship data collection. Just this year, I learned of two such cases in Uganda. In both cases, the situations came to our attention when we were notified that the girls had dropped out of school. Remaining in school is a mandatory criterion for participating in our sponsor a child program – the benefits of sponsorship are primarily (although not exclusively) delivered through the schools. School feeding programs, uniforms and school supplies, and livelihood support for sponsored children’s parents are all accessed by children and their parents through the school, managed by our local NGO partners in each community and funded by CFTC donors. Sponsored child, Bugiri District, Uganda. The questions that I grappled with as I listened to speakers at the round table and as we at CFTC discussed the situation of the two girls from Uganda were: what can I do? 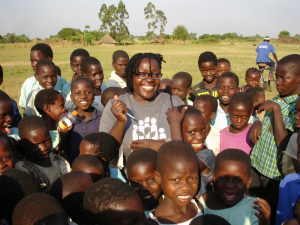 What is my role as a development practitioner? 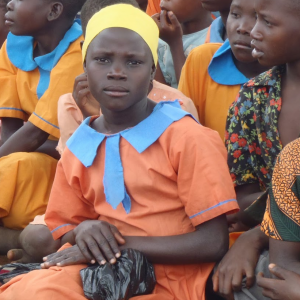 What is the role of our partners in ending child marriage? * Engaging directly with individuals, groups and local community-based organizations working to halt the practice of child marriage. Such engagement could be for joint advocacy and campaigning or to provide technical support to legal and administrative agencies responsible for protecting children. * Ensuring children are registered at birth. This involves both creating awareness among parents and guardians and as well supporting administrative structures to simplify birth registration processes. Without registration, children can’t prove their legal age or claim protection under legislation that may exists in their country specifying a minimum age for marriage. * Supporting youth-led groups and male role models to raise awareness about children’s rights, including the right not to be forced into marriage at an early age. * Engaging religious and traditional leaders to end child marriage. In many communities, religion and culture can be powerful drivers of early marriage. CFTC and its local partners can engage local religious, spiritual and traditional leaders to be advocates against child marriage. In addition to the above solid programming recommendations, through child sponsorship CFTC helps to create an added circle of protection around sponsored children. Community volunteers visit homes of sponsored children, engage parents on a regular basis on the welfare of the sponsored child, and also visit the child at school. While parents and guardians are the immediate circle of protection for the child, the community volunteer provides the next level of protection. Where guardians and parents are tempted to send a girl into early marriage, community volunteers will be first to engage them in a conversation. They will also report immediately to local partner NGOs who then become the third layer in the circle of protection around the child. Community volunteers, like these working with CFTC partner UCOBAC in Uganda, provide a vital “early warning system” and support to vulnerable girls. Three times yearly, CFTC partners organize formal exercises during which they engage with both sponsored children and their parents. 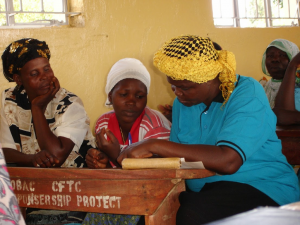 These meetings become an important part of an early warning system that alerts CFTC and its partners about children that are threatened by early marriage or otherwise at risk of falling outside the circle of protection. Although we are not directly in the ‘business’ of advocating for an end to child marriage, when we come across the problem as we interact with girls in our communities – as we did in the case of the two Ugandan girls – we work with the local partner to investigate each case. In some cases, the local partner is able to engage the parents and act on the child’s behalf to resolve the issue directly, as happened with the girl from Zambia who shared her story at the Ottawa event I attended. In others, the situation may be more complex and require intervention by various government authorities. 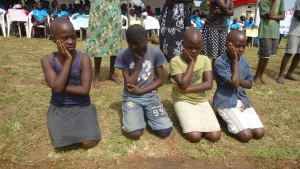 Both of the Ugandan girls situations have been brought to the attention of the appropriate authorities, and our local partners are remaining involved. It doesn’t happen often, but when it does happen we are able to act early, quickly and relatively effectively to intervene. School children performing a skit at an African Day of the Child event. These are important ways to raise awareness of critical issues that affect child welfare, including early marriage. The circle is not always watertight and in some cases children do fall out of the circle. But as NGO practioners, we constantly seek new strategies, reach out to others for new ideas, and try again. And as an African woman who managed to remain within that circle, I visit and continue to speak to the young girls in Ghana, Ethiopia and Uganda to remind them that education is the key to many things. Hopefully they see me as role model.